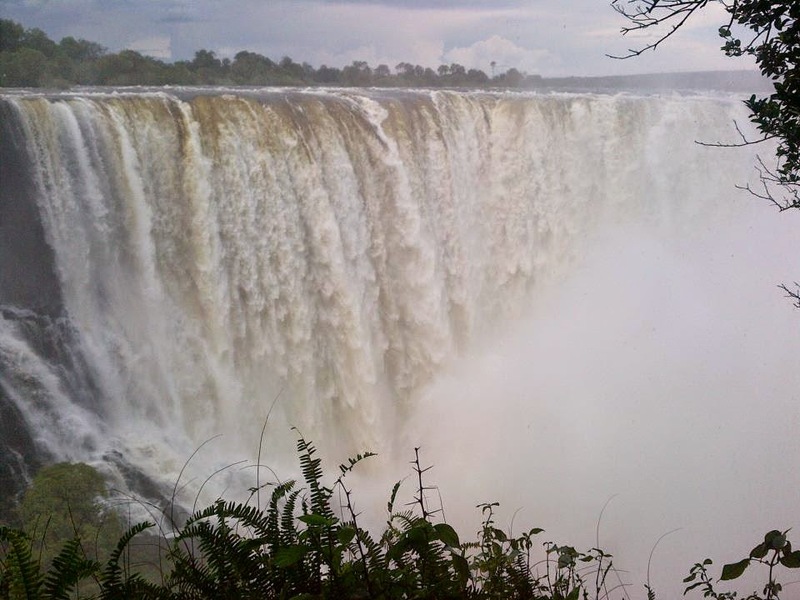 I traveled to Zimbabwe for the sole purpose of seeing Victoria Falls, "The Smoke that Thunders." The waterfalls make the World Heritage List and are considered the largest in the world. I flew into Victoria Falls, Zimbabwe and had less than 24 hours until I would be boarding a plane back to Johannesburg. Upon arrival I learned that you could view the falls from either the Zimbabwe or Zambia side, much like how the U.S. and Canada share Niagara Falls. My sources told me that traveling to the Zambia side provided a more panoramic view. I flagged down a taxi who took me to the border and I jumped out at passport control. After waiting nearly an hour to get my passport stamped and meeting some new friends, I left Zimbabwe and stepped into the no man's land. Crossing the bridge over the Zambezi River was a breath-taking sight; I saw my first glimpse of the falls and was bombarded by three-foot tall monkeys and tour operators trying to convince me to bungee jump off the bridge. Only slightly fearful of the large, pink-bottomed monkeys that seemed to be eyeing my every move, I proceeded to the Zambia border office to pay a sizeable fee for my one-day tourist visa. A while later I finally reached the viewing area for the Zambia side of Victoria Falls. Given a map and a rain poncho, I trekked all over the area taking photos from every vantage point and getting drenched by the incredible mist coming from the falls. It was beautiful!